Waterfront condo living at its best! 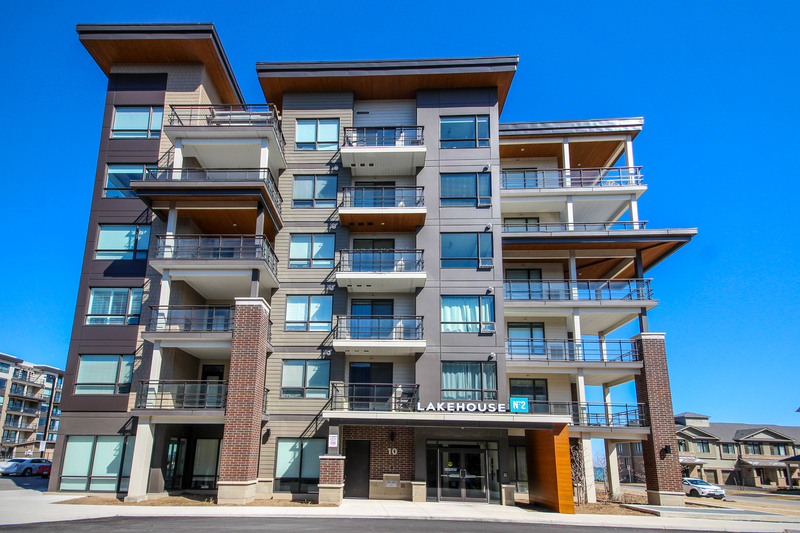 It's where the blue skies and gentle winds beckon you home to your Coastal Chic Condo, perfectly situated on the Shoreline of Lake House Community in Prime Grimsby location. This Beautifully upgraded 1+1 bedroom is incredible with Unforgettable Lake views from every window and the private over sized balcony. This open concept layout has a Stunning kitchen with Ceasar Stone countertops, a beautiful accent backsplash, an oversized island/breakfast bar w/seating for 3 & s/s appliances. The Great room has plenty of space for an intimate dining area and sectional seating for entertaining while looking out over the lake or sitting on the balcony watching the sunsets. The Master bedroom is very spacious and has a large WIC. This unit Loads of natural light beaming through the large windows, In suite laundry, upgraded laminate flooring, custom blinds & upgraded lighting thru-out. Also includes underground parking & a storage locker. Access to top of the line amenities including a private resort style outdoor pool and Pavillion and thrilling amenities such as a gym, BBQ area, party room. Steps to beaches, waterfront trails, the quaint downtown or wineries, easy highway access, shops & future GO Train. Want to learn more about 403-10 Esplanade? I would like to learn more about 403-10 Esplanade.